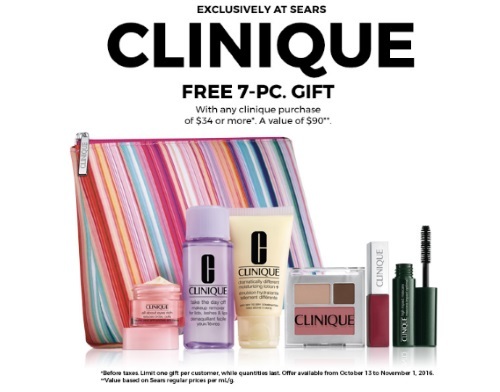 Sears has their Clinique Free Gift With Purchase Event on now! Get a Free 7 piece gift (valued at $90) with any Clinique purchase of $34 or more! Limit one gift per customer, while quantities last. Offer available from October 13 to November 1, 2016.